It was 20 May, 2015 that Baba Ghulam Shah Badshah university (BGSBU) witnessed the darkest day of its existence because this was the day, when news surfaced about the scholarship scam in the university worth lakhs of rupees. This injustice with the students of Pir Panjal region filled them with anger and resentment. Students therefore agitated against this exploitation that lead to the closing down of the university for three consecutive months thereby losing one complete academic session. In those darkest hours of restlessness, chaos and confusion in the university, a ray of hope was seen in the form of the new Vice Chancellor (VC) of BGSBU, Dr Javid Musarat. His appointment as a VC gave the start to a new era of peace and development in the campus besides the implementation of technical education in the university. With his unmatched intelligence, Dr Musarat calmed down all the agitations so perfectly that university has never seen any such nightmare from then onwards. Dr Musarat always followed the path of justice and maintained transparency in everything. He always gives a patient ear to both the parties involved in any conflict. He is also tough on taking difficult disciplinary actions. Born on 8 March, 1960 this small boy of Dodhpur area of Aligarh began his primary education at Aligarh Muslim University and continued to complete his Ph.D in microbiology from the same institution. Who knew that one day this boy from a small town will make India proud by representing her at reputed international forums? Undoubtedly Dr. Javid Musarat is a scientist par excellence, with his innumerable contribution in the field. So far, Dr Musarat has written 15 books chapter, 128 research papers which have been published in reputed national and international journals. His creative and innovative contribution in the field of science enabled him to win innumerable awards like Young scientist award in 2003, Elsevier Highly Cited Author Award 2006-2011 and first prize for best research in the area of Nanotechnology at King Faisal University, Kingdom of Saudi Arabia. 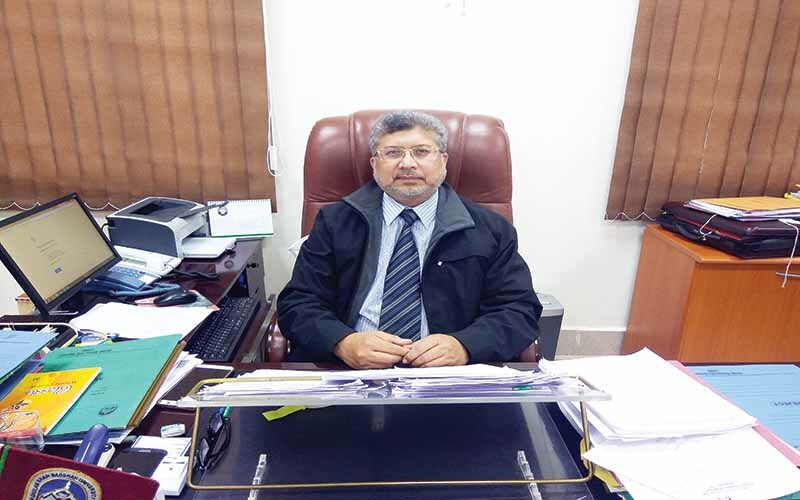 Before becoming a part of BGSBU Dr Musarat has also rendered his services as Chair Professor at King Saud University, Saudi Arabia and Professor of Micro biology at Aligarh Muslim University, Aligarh India. Consistency in hard work enabled Dr. Musarat to start many new projects in university like establishment of three nursing colleges of BGSBU at Rajouri, Jammu and Kishtwar, construction of Gymnasium hall for boys and girls at BGSBU, installation of Wi-Fi in the university campus etc. 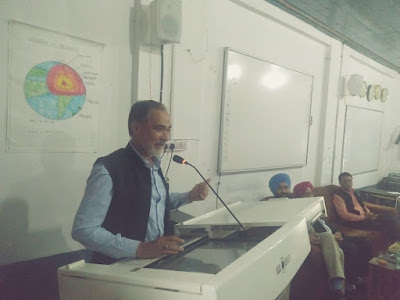 Besides he also started CBS in all PG courses apart from giving kick to the online courses (Moocs) on Swayam Platform for upliftment of underprivileged people of Pir Panjal region. Dr Musarat has also solved the biggest transport problem of the students in particular and common masses in general by starting regular transport service from down town to university campus. The appointment of skilled and highly qualified staff under TEQIP project has set new horizons for university. In addition to this, Dr Musarat's secret of success in an area like Rajouri, where people of all religions, casts and creeds reside, is his secular outlook on life and society. His cordial public relations with people of Rajouri have added one more feather in his cap. He has also given his all social services to this area by working a lot about underprivileged sections of the Pir Panjal region. Moreover, he has revolutionized the concept of education by bringing all round development of students. He has also worked a lot in encouraging budding Urdu writers of Pir Panjal area. Regular seminars and workshops on importance of peace in today's life has become highlight of university in these days. Last but not the least, brilliant performance of BGSBU in the field of technical education and placement of degree holders in different national and multinational companies is luring students across the country to become a part of BGSBU. Undoubtedly it is because of the efforts of honorable VC that today BGSBU is included among India’s best universities .